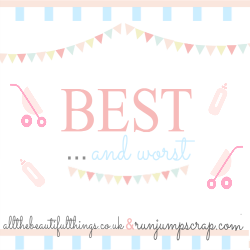 Something Crunchy Mummy: Why The Early Mornings? Noah has always been such a good sleeper. It was always Finley waking us up at silly o clock in the morning from the day dot (and not sleeping through the night either) and us sneaking downstairs with him so Noah could sleep a little bit longer. And after Finley being the worst sleeper in the world it was lovely to have a child that slept past 6.30am and it also gave us some time with just Finley before Noah woke up. But the last week or so it has been Noah waking at silly o clock. And it’s sillier (if that’s a word) o clocker than Finley has ever been up, 5am!! How is this ever a legal time to be awake?! Sometimes he will go back to sleep if I go in and put Ewan the sheep on but other times there is just no getting him to settle again. And as I am so not used to this it drives me bonkers! Whereas if Finley was to do it I would think that it was normal. So when Noah wakes at 5ish and he won’t go back to sleep he comes into bed with us. There’s no going downstairs to start the day, I just can’t seem to do it. And also if I was to do this, Finley is always in a light sleep at that time of the morning, I think he would be wake at the sound of the stairgate. The only problem is it’s not cuddles in bed with Noah, I get beaten up. He lies in between me and the hubby, facing me, every time. He leaves my hubby alone completely, forgets he is in the bed and just totally ignores him. It’s me that gets the beating. I get poked in the eyes, slapped around the face (in his jokey way), kicked, my nose picked and shouted at in my face ‘wake up mama’. The kinder beatings involve a lovely cuddle with his arms around my neck that is coupled with a ‘love you mama’. I lie there with my eyes closed and I just can’t seem to get cross with him because when I open my eyes he is beaming back at me, in the dark, looking oh so cute even at 5 in the morning. Why has my well slept little boy started to sleep so badly? His naps in the day are also starting to get skipped, so I get a full day with both munchkins on the go all the time. This is all the more reason I need my sleep but my little monkey has other ideas! I am sure it is just a phase! My youngest wakes up 6am - 7am every morning. But we never go downstairs before 7.30 haha! Oh bless you, I'm afraid mine have slept in since they were about 8 weeks old and still do aged 9 and almost 11 (next week eek!) which I put down to genetics as I'm a really heavy sleeper and so is my Mum in the extreme otherwise I would love to be able to give you some tips! Hopefully it's just the hot sticky weather doing it and he'll start sleeping later for you again soon. One of mine used to wake me in the mornings with a metal car to the head at that age...nothing quite like the love of a toddler! 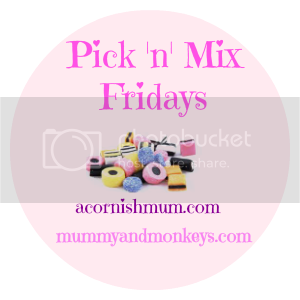 Thanks for linking up with Mummy and Monkeys and me @ www.acornishmum.com lovely!